If you’ve been injured or forced to miss work because of mesothelioma and asbestos exposure, we know that you want the law on your side. You are entitled to compensation for both the physical and emotional suffering you’ve been forced to endure. But how can you be certain that you get it? You should start by working with the best mesothelioma lawyer possible. But with so many legal representation options out there today, it can be difficult to know the qualities to look for and the questions you should ask a potential lawyer. This post is here to help you to find the right asbestos attorney that will tirelessly fight for you. If you want to find the best mesothelioma lawyer for your case, you need to know the best places to look. You might think that asking your friends and family for referrals is the best way to go. However, remember that mesothelioma is nowhere near as common as a divorce, a slip and fall accident, or other, more standard, legal cases. Instead, you need to look for legal professionals that have specific experience in the world of mesothelioma cases. Research your local bar association, and use their legal database to help you come up with a list of the best mesothelioma lawyers in your area. If you’ve worked with a legal professional in the past, ask them if they have any industry connections to an experienced asbestos attorney. Even consider reading articles and blog posts about high profile mesothelioma cases. Look at the attorneys involved, and contact them. In some cases, the author of a post may be a legal professional with a mesothelioma law firm themselves. Like this page and the lawyer that wrote it! Finally, conduct some research on local lawyer databases and directories. These will help you to quickly sort through their education and professional credentials, relevant case experience, and other details about their firm. So, you’ve now come up with a list of the best mesothelioma lawyers, and you’re ready to start narrowing down your options. The first thing that you need to do when you contact these professionals is to ask about their overall case and court records. Begin by asking how often they’ve been able to settle out of court. Remember that often, you’ll be put up against companies that have resources that far outnumber your own. These companies can and will do everything possible to try to discredit you. In addition to being emotionally stressful, this also means that a settlement may be your best option. Make sure that, if you decide to go this route, your legal professional has experience in making it happen. Of course, in some cases, there’s nothing you can do to avoid going to court. You need to familiarize yourself with their overall case record. While a few losses are normal, if the scales always seem to tip in the other direction, it’s time to move on. Also, ask about their case experience within the particular court system that you’ll need to go through. You need to be certain they’re familiar with the filing process, the court rules, and all the other details that can so often trip up an otherwise strong case. The last thing that you want is a lawyer who is still wearing their training wheel while they’re handling your case. Finally, to ensure that they have enough relevant experience, we suggest asking what percentage of their caseload is dedicated to mesothelioma and asbestos cases. One of the most important things that you need to do when looking for the best mesothelioma lawyer? Make sure that you’ve taken the time to read lawyer reviews. Any firm that’s worth its salt will have a page on their website dedicated to client testimonials. Make sure that you also check out third-party legal review sites. Of course, lawyers will likely only include the most positive reviews on their websites, so this is a key step. However, to make sure you’re truly getting the full story, you should also speak directly with these past references. Whenever possible, do so over the phone. After all, you never really know who is writing an email. Ask for a minimum of two past clients, preferably with cases similar to your own, from your potential attorney. When you speak with them, ask if they were satisfied with the outcome of their case. Ensure there were no billing surprises, that the lawyer didn’t pass the work off to someone else, and much more. It’s hard to believe that some legal professionals can fake their way through even the biggest cases and most high-profile clients. But, as difficult as it is to admit, sometimes, it can happen. You want to be certain that you don’t get fooled by a con artist, whether they’ve invented half of their resume or have told half-truths about their case experience. Especially in today’s world, it’s essential that you always take the time to verify what a lawyer is telling you. Begin by ensuring that they truly are licensed to practice law in your state. You can check whether or not a lawyer’s license is active on your State Bar website. Next, take a look at their education credentials. You can contact their law school directly to be sure that they truly did attend that top-tier law school. In addition to verifying these credentials? You should also make sure that you’ve asked your lawyer if they’ve ever received disciplinary orders, or if they’ve had a formal complaint lodged against them. In some cases, these complaints amount to little more than an angry client that was out for revenge. But in other cases, things are much more serious. This is why it’s also important to ask whether or not the attorney has malpractice insurance. In some cases, this information may be available on the State Bar website, as well. You’ll be able to take a closer look at the kinds of complaints lodged against a legal professional, and decide if it’s still worth it to work with them. Finally, take a look at any sort of professional ratings and awards that an attorney has received. Always be on the lookout for an AV-rated firm with a high ranking in their practice areas. You’re satisfied with the client testimonials and references that your potential asbestos attorney has provided you with. You’ve taken the time to verify their credentials, and you know they have experience with cases similar to your own. So, what’s the final step when it comes to seeing whether or not they’re the right for you? You’ll need to make an in-person consultation. Meeting with them face-to-face can help you to understand if their style of communication matches your own. Do you feel that they can explain complex legal procedures and potential strategies in a way that makes sense to you? Are they coming up with responses and ideas that match up with the specifics of your case? Or, do you feel as though they’re giving you more generalized advice? Do you get the sense that this attorney will make your case a priority? Or, do you get a sense that you’ll be little more than a number to them? The in-person consultation is also the time when you should ask about their billing cycle. Make sure that you verify what they tell you with past references, and discuss developing a fee structure that works for you both. Additionally, ask who else will be handling your case. Do you feel like your attorney might end up pushing most of the work off to less experienced legal professionals? Do they have a strong network of medical experts and other lawyers to pull from, if needed? These are all important questions to ask and will serve as the final step in helping you to choose if a specific attorney is a right fit for you. Are You Ready to talk to a Mesothelioma Lawyer? 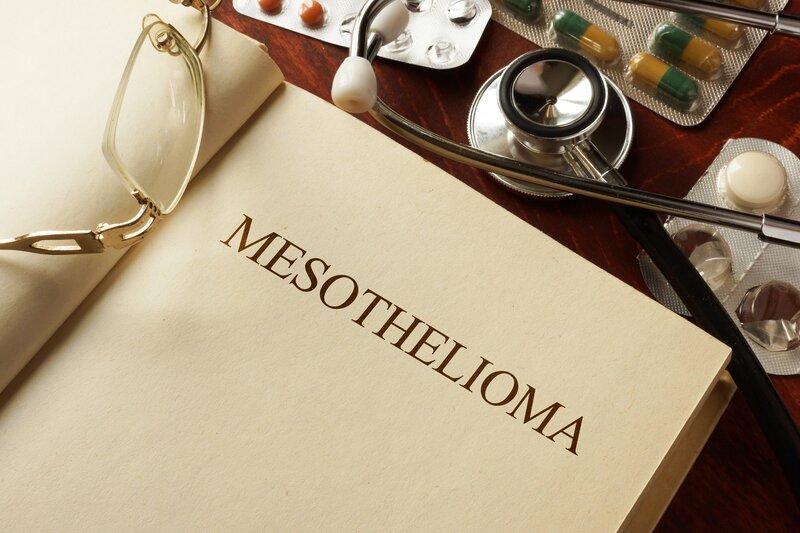 From learning how to verify credentials to understand the right questions to ask references, we hope this post has helped you to know what to look for in the best mesothelioma lawyer. We have years of experience with standing up for our clients and tirelessly fighting on their behalves. We believe in fighting until you get as much compensation as you’re entitled to, and we always try to paint a realistic picture of what you can expect to get. When you’re ready to start the process, get in touch with us for your free case review. Is it Legal to Warn Other About a Speed Trap?